Bifurcated fans are inline, mixed flow blowers which is designed technically to move air against high static pressures. Because of their bifurcated housings, they can exhaust hot air, corrosive gases etc. The motor is isolated from destructive heat & fumes in a separate chamber, so it remains cool even after extended operation. The only moving part exposed to heat and fumes is the specially designed fan wheel. 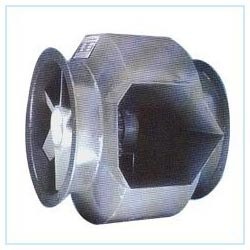 Propounded in the year 1985, United Air Tech Inds is one trusted brands in the market that are known for Manufacturing, Supplying and Exporting of high quality Centrifugal Blowers and Fans .We deal in wide range of Tube Axial Fan, Industrial Machinery and Kitchen Fume Exhaust Systems. Each product is manufactured with eagerness to accomplish maximum level of satisfaction in the client and also to meet their demands. Our non deviating approach towards quality manufacturing and delivery of products have gathered us huge client base in the market. We also export our products to Dubai and New Zealand. Having spent so much time in this domain we have set up a vast infrastructure which is based at spacious proximity, where we make sure that tremendous level of satisfaction, adeptness and modifications is achieved .Owing to the well equipped machines and latest technology we are well effective in assisting the voluminous demands of our clients with calculated time frame. Moreover due to our skilled pool of professionals we are capable enough to distinguish complexities in customer’s specifications and to meet with changing technological trends in the market.